Thanks so much for teaching us about Lake Tahoe. 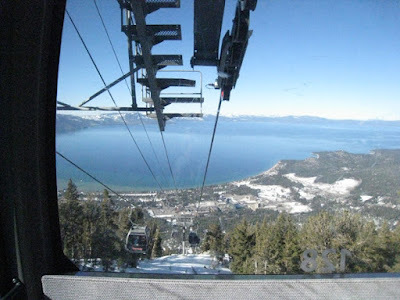 I loved all of your photos, but I especially liked the view from the aerial tram. From that high up, I could get a good view of how big the lake really is. I also enjoyed learning about the Native American from that area. It's been a long time since I have been to Lake Tahoe, but your pictures reminded me how beautiful it is. 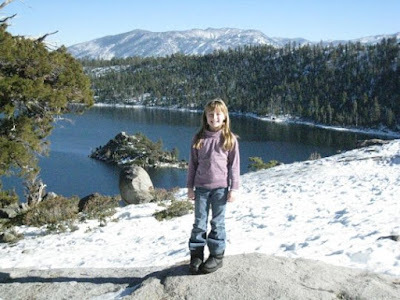 My family visited there and we also skiied in two states - California and Nevada and my daughters thought that was fun. Your post reminded me about how deep Lake Tahoe is, which is quite impressive. I love your blog! I go up to Lake Tahoe almost every summer. My grandparents have a house in Lake Tahoe. Did you go crawdad fishing? Did you stay up top where the ice skating rink is? 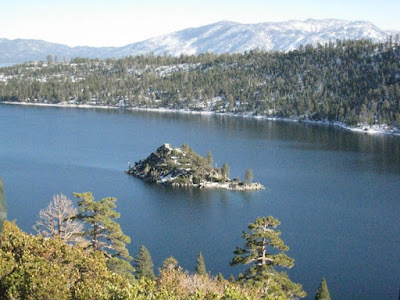 Did you know the lake at Lake Tahoe is the depest lake in California? Your blog is really great! We had such a wonderful time up at Lake Tahoe. You are such a great skier and snowboarder. We need another ski trip soon. My family loved your post about Lake Tahoe. We can not believe how deep the lake is at over 1,000 feet at the deepest point. It brought back fond memories for my mom as she spent many Summers there with her family! Thanks for sharing, Chloe. The picture of you on Sandy Harber was so beautiful! How long did it take to get there? I ask because I want to go some day. If you can answer my questions because I'm interested in your blog post! We didn't go crawdad fishing because the lake was too cold! No, we didn't stay up at the top where the ice rink, but there was an ice rink were we stayed. Your post is really cool! Now I want to go to Lake Tahoe! I learned how to ski with my dad. Did you know that my dad has skied for 35 years?! 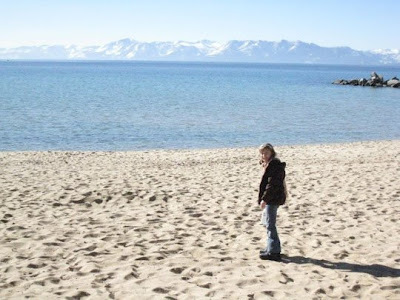 I have never been to Lake Tahoe, but when I read your post it was like being there myself. My family goes to Lake Tahoe about every other year. We always go in winter time, and we love skiing and sledding with each other. This we are going to Lake Tahoe for Christmas. I hope it snows because I really want a white Christmas. Sadly, every year we drive there and that takes 9 hours!